Picture this: You're a golfer on the PGA Tour. You work hard all year long, finishing in the top 10 in a number of events, and maybe even winning a few. You qualify for the FedEx Cup Playoffs, a series of four tournaments to determine the season champion, and ultimately win the entire thing. Then you take home a cool $10 million, and life is good. Or, you can be Tiger Woods or Phil Mickelson and just play one match for the chance to win almost as much. Woods and Mickelson are participating in a head-to-head pay-per-view match in Las Vegas during Thanksgiving weekend. "The Match" will also be available via premium streaming services. The winner will take home $9 million. And of course, because Vegas is involved, you can expect plenty of prop bets. According to the event's press release, Woods and Mickelson "will selectively make side-challenges against one another during the match." These include things like longest drive or closest to the pin challenges. While the winner of the match will make $9 million, money earned from the side challenges will go to the player's charity of choice. 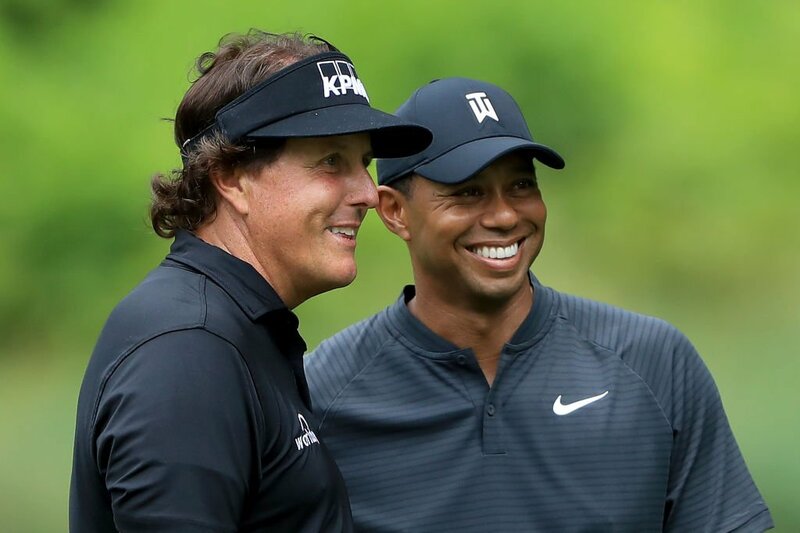 Woods and Mickelson have often been linked together as rivals. However, when you look at the numbers, it really hasn't been close. Woods has 79 Tour wins to Mickelson's 43. Tiger has 14 major titles to Phil's five. But all sports love a good rivalry story, so golf will continue to push it. And it's going to make one of these guys millions of dollars. Sure beats putting in all the work for a full season, huh?